Amsterdam Babymoon. Celebrate your pregnancy and spend your Amsterdam Babymoon at Amsterdam’s award-winning boutique hotel, Andaz Amsterdam, Prinsengracht. 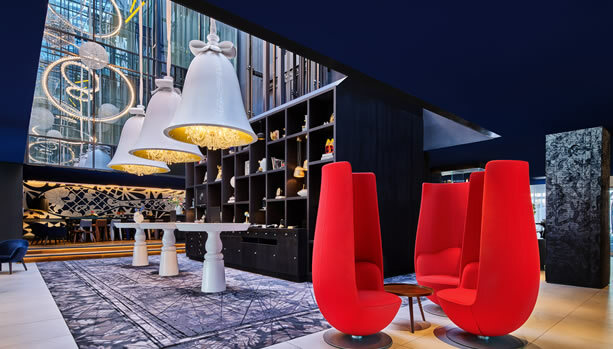 Surrounded by the city’s iconic canals, Andaz Amsterdam Prinsengracht sits in the historic center of Amsterdam. Explore the eclectic shops of Nine Streets, grab a bite in a famed café, and admire the modern collections at the Stedelijk Museum. 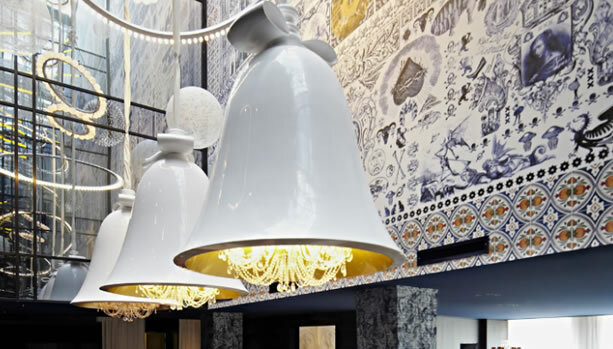 Experience everything Amsterdam has to offer, then return to this luxurious boutique hotel. 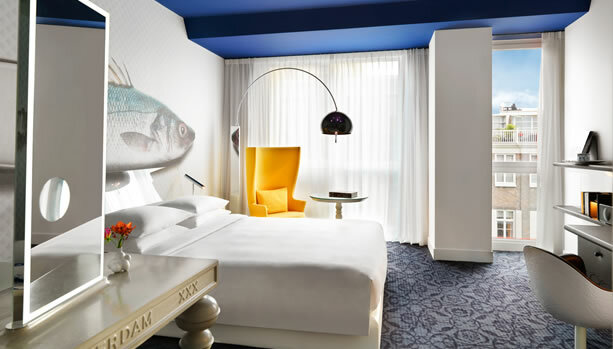 Andaz Amsterdam, Prinsengracht features 122 guestrooms and suites with canal, garden, and Observatorium views. 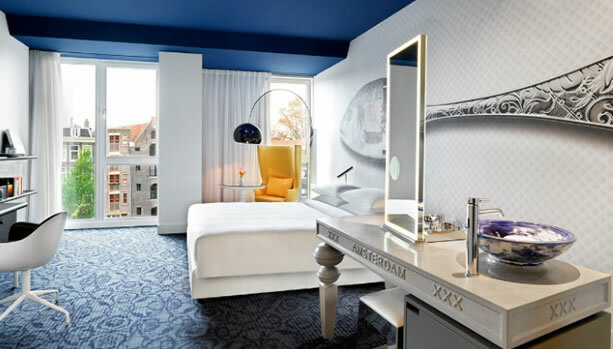 Furthermore, Andaz Amsterdam, Prinsengracht is home to a luxurious Spa, a Silent Garden, guest bicycles, more than 50 pieces of video art as well as original artwork and farm-to-table cuisine with a distinctive Dutch twist at Bluespoon Restaurant. 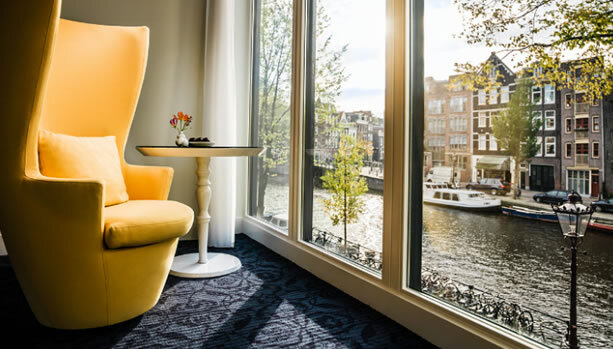 The 122 pet-friendly guestrooms and suites offer abundant natural light and views of the Prinsengracht canal, landscaped gardens, or the Observatorium. 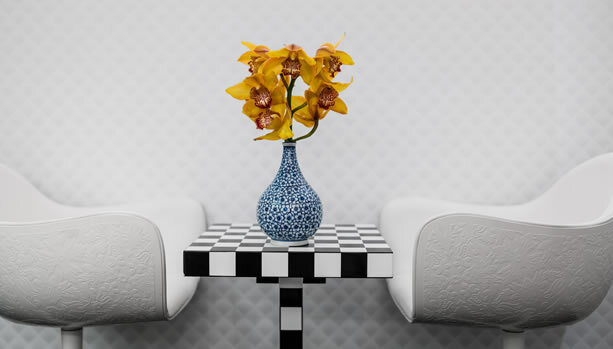 Each space was designed by Dutch architect and designer Marcel Wanders. 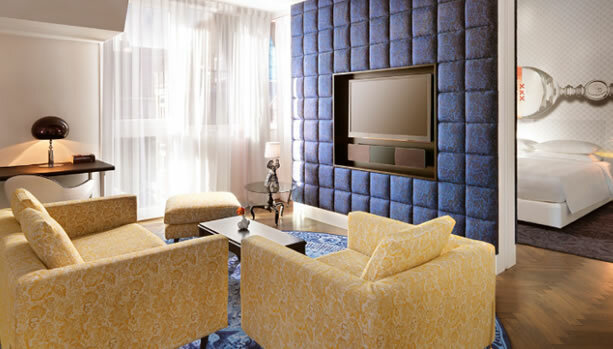 Amenities such as a 42” flat-screen TVs, local bath amenities, and walk-in closets can be enjoyed here. Furthermore, have exclusive access to the video art channels in each room. Each guest enjoys complimentary Wi-Fi with their stay. The moment you enter The Spa at Andaz Amsterdam, Prinsengracht, you will immediately feel a deep sense of rest and relaxation. 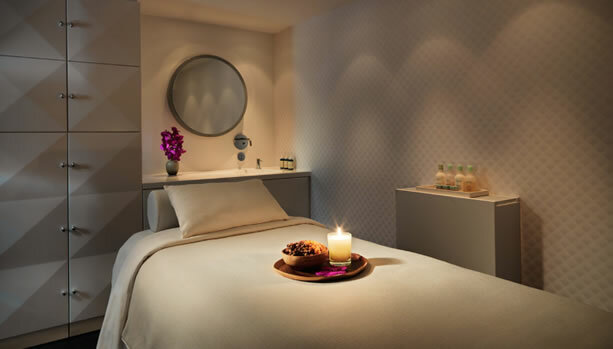 The spa’s stylish décor, combined with their individualized treatments and prestigious spa products by June Jacobs and REN, will guarantee you the ultimate spa experience. Whether you want to re-energize during pregnancy or polish your appearance before a romantic night out, the various massages, facials, and restorative treatments will cater to whatever your specific needs may be. Finally, finish off your wellness experience with the use of the fully equipped fitness center, luxurious sauna, rain showers, and serene relaxation area. 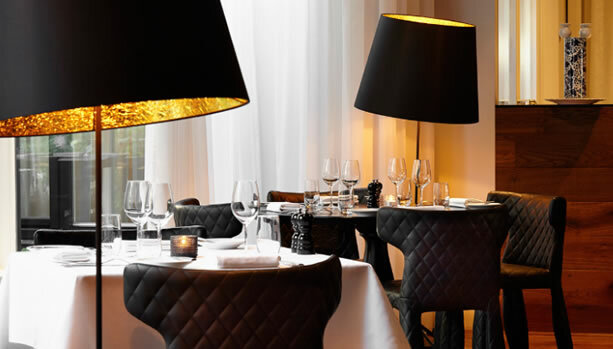 Dine on innovative cuisine at the bright and airy Bluespoon Restaurant, located at Andaz Amsterdam, Prinsengracht. Their seasoned chefs craft gourmet European dishes with a Dutch influence, using local ingredients that allow the wholesome flavors to shine through. 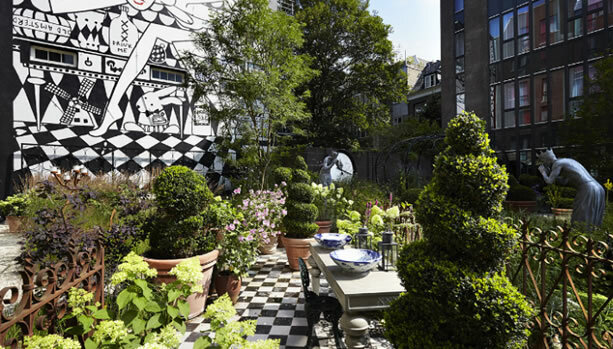 The menu highlights each dish’s farm-to-table roots, noting the local farmers, producers, and purveyors.With large windows looking out to the landscaped garden, this Marcel Wanders-designed spaces offers a chic-yet-whimsical space to enjoy breakfast, lunch, dinner, and everything in between. Designed in the same vein as a typical Amsterdam café, Bluespoon Bar invites guests to linger over a drink in the intimate, speakeasy-style atmosphere. Located in the heart of the Andaz Amsterdam, Prinsengracht lobby, the hotel bar is an ideal spot to relax any time of day. The drinks draw inspiration from three different time periods: pre-Prohibition, Prohibition, and post-Prohibition. Bartenders whip up innovative drinks using handpicked herbs, fresh juices, and distilled liquors. If you get hungry, try something off the bar menu, featuring a variety of typical Dutch snacks. 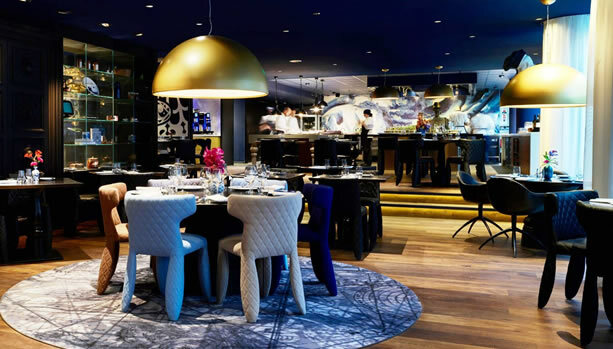 Watch the head chef prepare gourmet cuisine right before your eyes at the Chef’s Table at Andaz Amsterdam, Prinsengracht. Take a seat in the heart of Bluespoon Restaurant and watch as the head chef and his team craft dishes with a passion and flair. 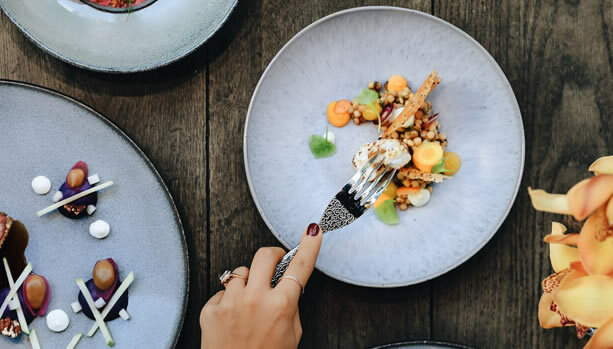 Enjoy one-on-one interaction with the culinary specialists as you dine on a special family-style dinner that incorporates seasonal ingredients and highlights the Bluespoon menu. The Chef’s Table seats up to 10 guests. In addition to this unforgettable babymoon experience, the hotel’s location is in the Jordaan district, overlooking the Prinsengracht Canal. And puts you near the area’s top museums, art galleries, restaurants, and more. Enjoy easy access to public transportation and the canal system from this boutique hotel. If you’re flying into the area, limousine service to pick you up from Amsterdam Airport Schiphol can be arranged. Valet parking is available 24 hours a day, for a fee of €65. 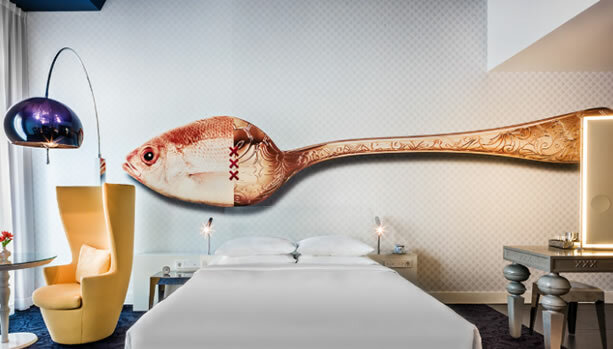 Ready for this unforgettable Amsterdam Babymoon at one of Amsterdam’s finest hotels?